Are you considering building or having a deck added to your home this summer? Now is the perfect time to start planning. 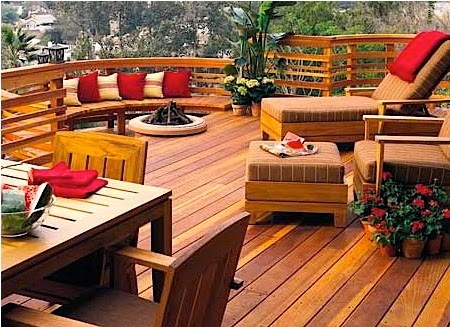 Beautiful deck designs are becoming a more common feature of outdoor living spaces. They provide us with a great outdoor area for relaxing, dining and entertaining friends and family. Start the planning process by collecting ideas from design magazines, home improvement television shows and the Internet. Consider the budget you are willing to spend on your deck design. Plan a deck design that adds comfort, curb appeal, function and value to your home. Design a deck that compliments your home, your garden and your lifestyle. Let the style of your deck express the style of your home. The deck needs to be in proportion not only to your home but also your home`s outdoor living spaces (backyard, front yard, garden). Choose a theme for your deck design that speaks to who you really are. Think about the function and daily use of the deck by your family; whether it is for dining, entertaining or a place to relax and play. Consider your home's front and backyard landscape design, and even the style of the home`s in your neighborhood when designing your deck. Plan a deck design with extraordinary angles or curves. It requires more labor, but it can turn a familiar rectangular deck design into a unique architectural feature of your home. Check with your municipality to see if you need a permit, before you start your project. Don’t spend more than 2% of your home’s value on your deck or patio design renovation. 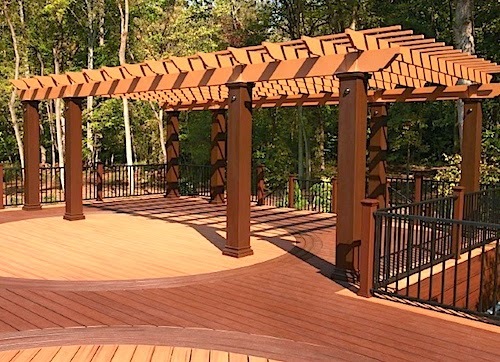 Decide on the type of decking materials you want to use to design and build your deck; such as woods, paints and stains. 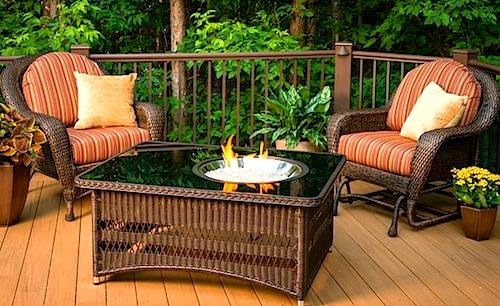 Select the right wood materials when building a deck. There are many different kinds of wood materials to choose from: pressure-treated wood, cedar, mahogany, cypress, pine, redwood, exotic and composite decking. Consider the maintenance requirements for the materials you decide to use for your design. Consider the weather conditions where you live when choosing the building materials and accessories for your deck design. Choose weather resistant environmentally friendly paints and stains for your deck design. Consult a landscape designer for advice on choosing the best materials and location for your deck. 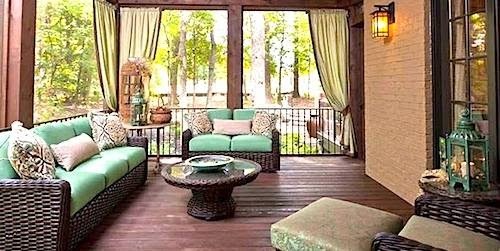 Convert your deck into an outdoor living room that reflects a sense of style. Split the decking area if it’s large enough into sections of varying heights. A multi-level deck or tiered deck is appealing and often more practical. It will allow party guests to gather together in small groups and it will provide cozier settings for relaxation. Utilize different stain and paint colors to designate where one area of the deck begins and another ends. 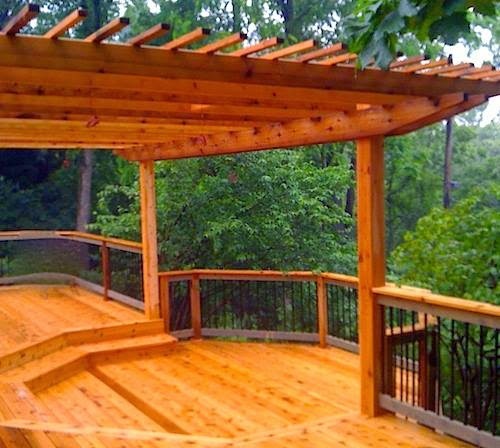 Add a pergola, canopy or gazebo to your deck design. They provide shade, a place to attach speakers and hanging plants, and will convert your deck into a wonderful outdoor oasis. Furnish your deck with comfortable and stylish outdoor patio furniture and accessories. Build benches on your deck with storage space inside them. They are perfect for your patio cushions and outdoor pillows. Select outdoor furniture that best suits your activities on the deck. Build your backyard deck near the kitchen to facilitate the serving of food and for easy cleanup. Try to include both sunny and shaded areas in your deck design. Decide how you will safely get on and off the deck. Mark the deck-edges that require protective guardrails, and don't forget the stairs and steps. 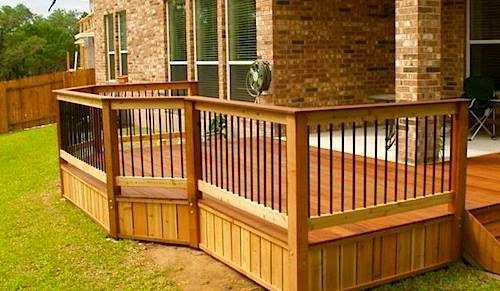 Install hand railings to improve deck appearance and safety. 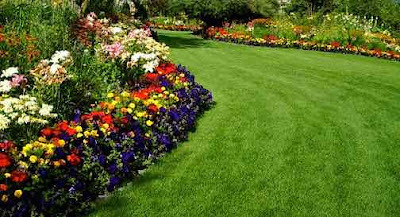 Think before building the deck; where are the best places on the deck to provide access to your garden. Add outdoor lighting to your deck for safety and for ambience at night. Improve your deck with outdoor living accessories such as a fire pit, a hot tub, or a complete outdoor kitchen. A fire pit or outdoor fireplace will add a nice focal point to your backyard deck design. Encircle your deck with stylish railings such as glass, metal, vinyl or composites. Include screens or fences in your deck design; if you require protection from the wind, or if you want to add more privacy. A well-planned deck design will enhance your lifestyle and the visual appeal of your entire home and will convert your backyard into an outdoor escape that can be enjoyed year-round.